Whether you've mastered all the full-length carries or you're starting out with a short wrap, these carries are great ones to start with. If you need more information on the difference between a full-length wrap and a short one, check out our page on wrap sizes. What it teaches: I like starting with FWCC TUB because it helps us learn strand-by-strand tightening and to make a seat just like we learn with the full-length FWCC. Extra bonuses: It ties off with a regular double knot so you can start wrapping with a shortie without having to learn a slip knot right off the bat. There's less fabric to adjust around the caregiver (compared to a base size FWCC) to lower and raise the carry for nursing or just re-tightening. What it teaches: Robin's is great because you get more practice with making a seat, and the slack comes right across baby's back similar to a ring sling (so if you have tried a ring sling before this should feel familiar). Extra bonuses: it's a poppable carry, meaning the baby can be "popped" in and out of the wrap without having to untie. It can also be tied with a double knot and it can be lowered for nursing and tightened back up. When you're bored of those two carries, why not learn to tie a slip knot?! What it teaches: This single skill provides you with a wealth of other carries to do with a short wrap - there are video and photo tutorial resources below. Once you've done some practicing of the knot, start putting it into action with Half FWCC, then one-shouldered Semi FWCC, and Front Reinforced Torso Sling* is a good one if you don't want any cross passes (passes that go under baby's leg). Variations on those last two carries that some wrappers find a bit easier to tighten are Semi Pocket Wrap Cross Carry and Reverse Front Reinforced Torso Sling. Extra bonuses: A simple one-layer Slip Knot Hip Carry (also called Traditional Sling Carry*) is also a ring-sling-style carry, though it tightens in the opposite direction (away from the knot rather than toward rings). Then there are several more hip carries that benefit from the use of a slip knot - see the full list on the Tutorials page. This may be the end of this post, but don't stop here! 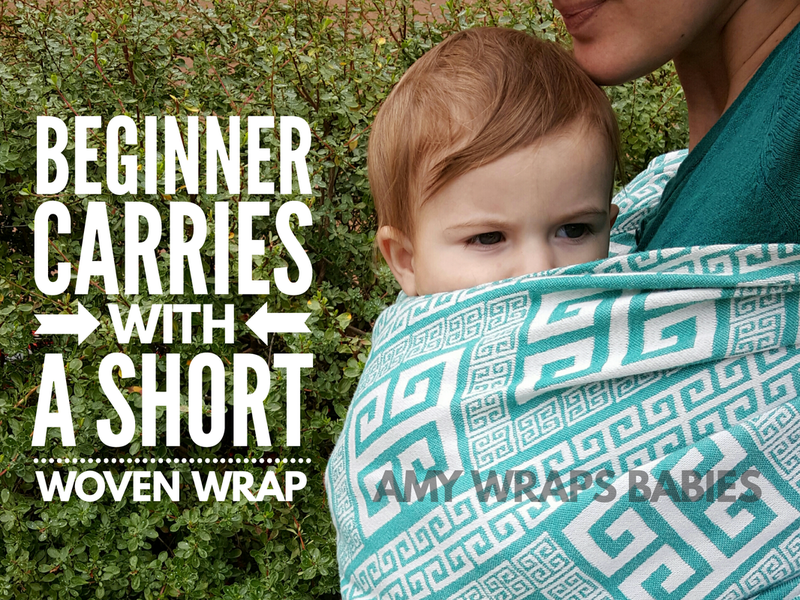 See the full list of Tutorials for everything that can be done with a woven wrap. * Sling pass is the new name for the pass previously called Rebozo, as it has been voted on by the babywearing community via wearingwiki.com.